Blue Ridge Biofuels is expanding biodiesel production by renting space and installing processing equipment at the Catawba County EcoComplex, a LEED Silver certified facility in western North Carolina. BRB plans to nearly triple production this year. With help from Viesel Fuel, Novozymes and Tactical Fabrication, Buster Halterman, the CEO of Buster Biofuels, is on the cusp of fulfilling his mission in cutting-edge ways by building the first enzymatic biodiesel plant on the West Coast. E2's report projects that by 2017, as many as 180 companies are expected to produce 1.7 billion gallons of advanced biofuel. For biodiesel, E2 counts the volume coming from nonvirgin feedstocks in its definition of advanced biofuels. Obtaining a desirable scope of coverage, as defined by patent claims, involves a number of important considerations. Being mindful of these points can improve the chances of effectively protecting a biodiesel process or product technology. Renewable Energy Group Inc. announced a partnership between its blended fuels division and CyRide, the transit agency serving the city of Ames, Iowa, and Iowa State University, to supply biodiesel-blended fuel in 2015 for its CyRide bus fleet. Participants used the hashtag #PumpUpBiodiesel on both Twitter and Facebook throughout the month of November. 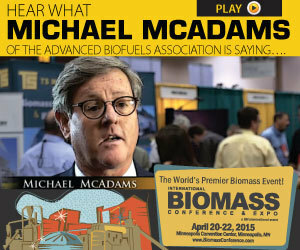 This hashtag reflected the industry's goals of growing biodiesel to 10 percent of the diesel market by 2022, and increasing RFS volumes.